Spring arrives early in Cornwall, the first proper sign coming with the characteristically Cornish daffodils in February. And as the landscape starts to flush with life once again, it’s a magical time of year to get out and about for walks. 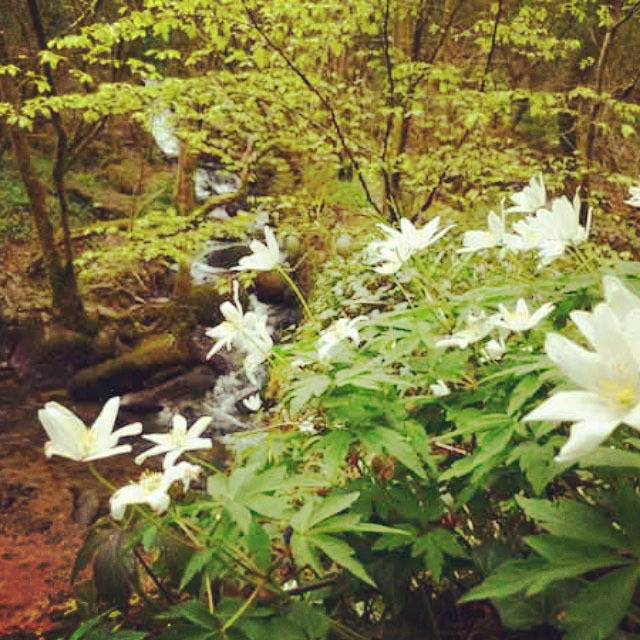 As well as the blaze of daffs, there are wild garlic, bluebells, snowdrops and blackthorn blossom to pepper your trails. 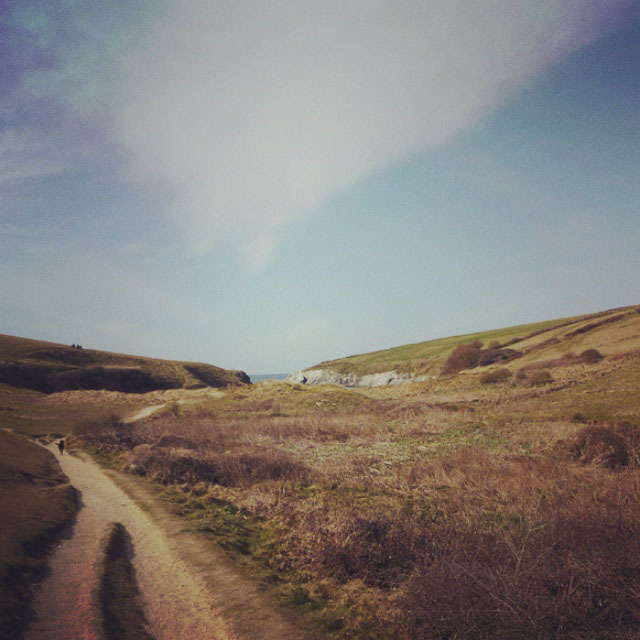 So with that in mind, the Black Dog and I have whittled down a list of our favourite spring walks. We hope you enjoy them. A National Trust gem. A granite quoined, 18th Century quay and the remains of an wooded Iron Age fort. Perched on the edge of the River Fal, it’s found at the end of a very bumpy lane, past a clutch of waterside houses, with views over to The Roseland. 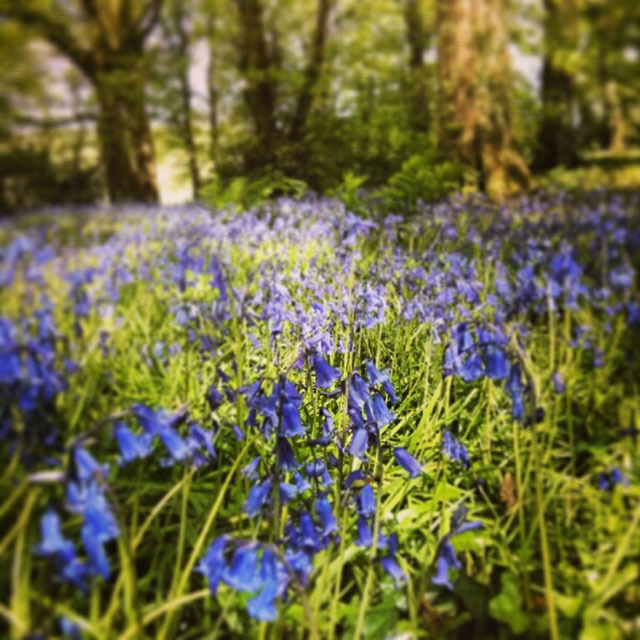 In the summer we potter about on the river, but in spring, when it’s not quite warm enough to canoe, we come here to walk in the woodland, amongst a carpet of bluebells. If you’re feeling ambitious, follow the 4.5 mile Trelissick/Roundwood loop along the banks of the river. Not many people know about this magical dingley dell. It’s out of site, with very limited parking. But it’s a beauty of a spot – an old gunpowder works tucked into the wooded hillside at Ponsanooth, abandoned in the 19th Century and now overrun by nature. Rushing streams are channelled into old leats, around ivy clad waterwheels and down through the site. In spring it’s a haven for wood anemones, snowdrops and bluebells, whilst later in the season ferns rule the roost. We come here all year, with picnics, belly boards and the Black Dog. It’s one of our favourite spots, but in spring particularly it offers the perfect beach retreat. Found down a soporific little valley, a sandy pathway runs from the National Trust car park, alongside a stream studded with irises and willow trees that are just starting to show signs of life. Find a sheltered spot to rest on the beach, or head west on the coastal path and up over The Kelseys. The Gannel River enters the sea at Crantock, a beautiful and dog friendly spot in its own right. But in spring, at low tide, the retreating waters of the river reveal voluptuous sandbanks and a habitat rich with bird life. We follow the meandering channel up stream. Cross at the footbridge to backtrack to Pentire Point on the opposite bank, or, like us, switch west and up Penpol Creek, a tranquil spot full of chattering bird song and banks carpeted with wild flowers. Head back to the beach car park on the coastal path. Thank you to Sian for writing this blog post for us, and for the gorgeous photos. Please visit her blog for more inspiration. Sian and the Black Dog live at the top of a very muddy lane. 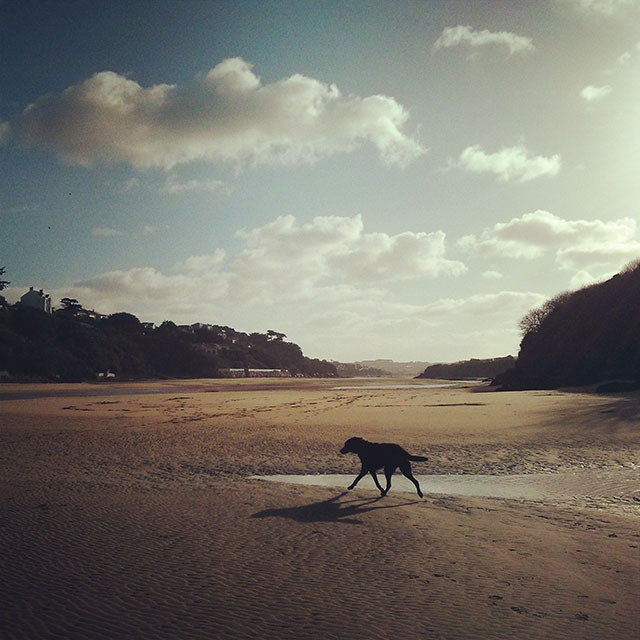 They spend their spare time exploring Cornwall, looking for new walks, beaches, gardens and places to eat and drink, all of which must be dog friendly – of course. They post their adventures to their adeptly titled blog Adventures with the Black Dog.